You can take part in a wide range of activities at the YMCA. Within the Performing Arts field, we offer opportunities within YMCA Productions, performing musicals, variety shows and pantomimes throughout the year. 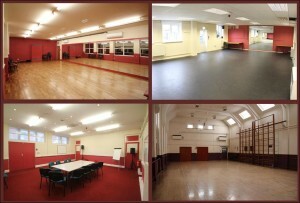 We also run Y-Musical Theatre School for children and young people aged 2 upwards. For those who are interested in sports, we run a Fencing club on Monday evenings, and Ju-Jitsu session on Tuesdays and Thursdays. We also have a Youth Club two nights a week on Thursdays and Fridays and the Ignite Project on Tuesdays. As well as our own activities co-ordinated by our in-house staff, we also are proud to be home to Rowlies Academy of Dance, Yorkshire Coast School of Ballet and Krashlabs. For further information, use the drop-down menu under ‘What We Do’ above. If there is a specific activity that you would like us to consider offering, or you are looking to base your own activity here at the YMCA, please just let us know!